Completely random but I've been having fun with an iphone app called Instagram. A couple of quick images from my life lately. They are low res so I only use it for the most random photos but its still a fun toy (that uploads more quickly than the apps like it so its great for those without patience, like me) If you have the app you can follow my stream. postscript: For those that asked about the cat bed, I blogged a tutorial last year. Click here to read more about I repurposed a vintage suitcase into a cat shrine, er bed. Love the one with the cat in the case, so cute!!!! I've got a giveaway going on over on JourneyChic! Stop by to enter! Beautiful flowers! One more reason I'm sooo ready for Spring! OMgosh the cat in the suitcase with it's own gallery haning on the lid just totally made my day! your kitty bed is sweeeet. Are those little kitty pictures on the top? I need to download that one. I've been using the polaroid app but it's so slow. hmmmm... you are taking photos with an iphone now too? ;) color me tickled pink. Assuming you mean on the computer rather than on an iphone - sorry, i don't really use anything but photoshop and lightroom on my photos but Im sure there are options out there. I do know Flickr has a 'picnik' editor that allows those kinds of filters for a fee but I've never used it myself.  I believe its www.brooklynlimestone.com or @mrslimestone.